M.L. graduated from the Western College of Veterinary Medicine in 2000, and moved to Edmonton soon after. She worked in private practice until 2002 when she took a year off for maternity leave. Upon returning to work, the flexible schedule of emergency medicine appealed to her, and the love of the work kept her there for 10 years. In 2013 she decided to move back to daytime practice. In 2015 she attended a lecture on Fear free practice, and it changed the way she viewed Veterinary Medicine forever. She completed her Fear Free certification in June of 2017 and is passionate about making every visit as stress-free as possible. In her spare time she stair trains, does hot yoga, and enjoys quiet time with her dog Tao. 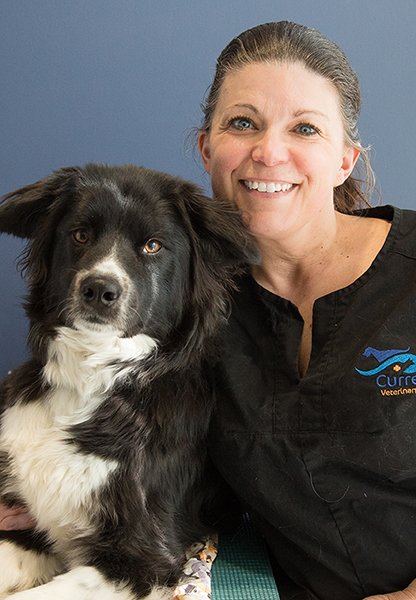 Dr. Gaynor is looking forward to meeting you and your pets —especially if your dog or cat is a bit nervous about trips to the vet.